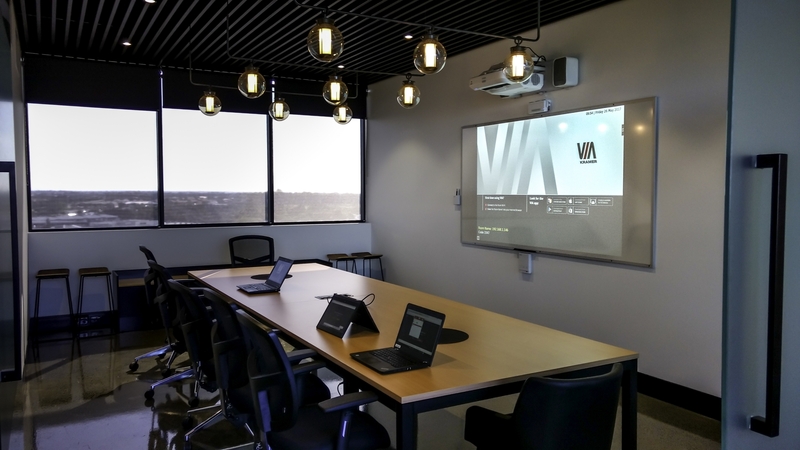 For the new boardroom, Cornerstone Building Development implemented the new Epson MeetingMate Interactive Projector with the Kramer VIA Go to ensure flexibility with displaying and presenting information. Cornerstone Building Developments completed the build of the new offices in North Lakes and approached AboutTech to provide an Auditorium Solution for internal use and events hire. 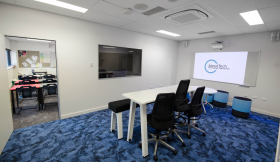 Utilsing products from Epson, Yamaha Commercial Audio and Australian Monitor, this space is impressive whilst remaining extremely easy to operate. 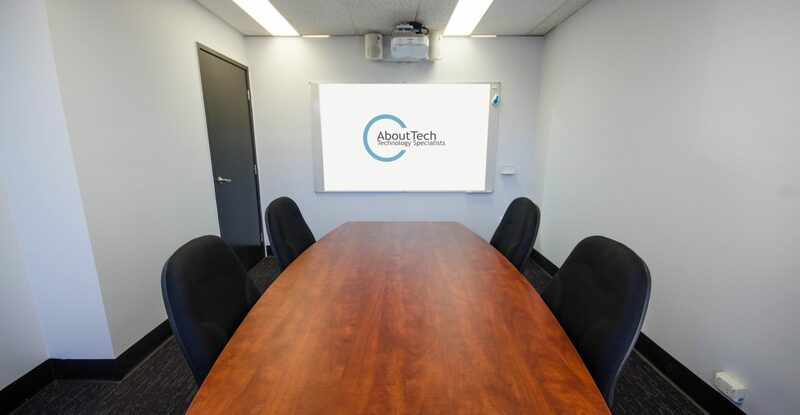 AboutTech were approached by a Project Management Consulting Firm for a simple to use Interactive Collaboration Solution for their boardroom. 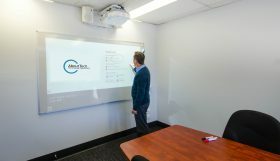 This solution allows staff to work interactively at the whiteboard. 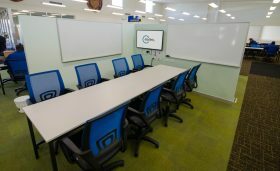 Multiple users can connect wirelessly and collaborate simultaneously to improve productivity and engagement. 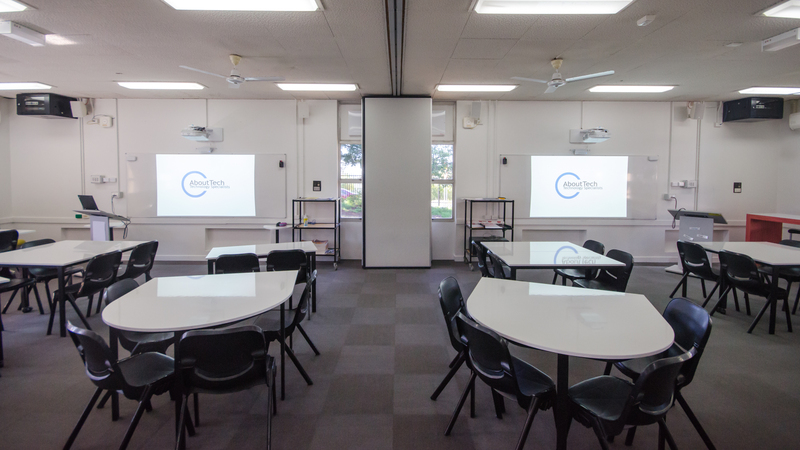 AboutTech were successfully engaged to fit out and commission 50+ classrooms for the new Year 7 Building at Brisbane State High School. 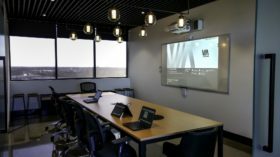 The solution consisted of an Interactive Ultra- Short Throw Data Projector, pair of powered speakers teamed up with a porcelain whiteboard. Teachers were able to readily connect their devices (PC or Apple) to the solution via the av wall plate, using the remote control to turn it on or off. 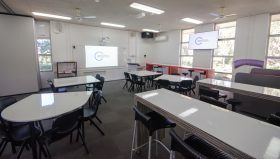 Additionally, the data projector was connected to the network to enable wireless connectivity for the teachers as well as network monitoring by the school IT team. AboutTech provided full supply, installation, commissioning and staff training for this project. 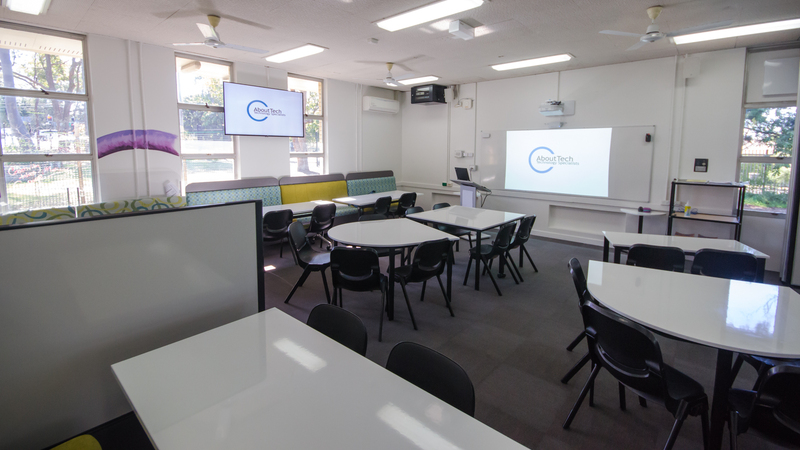 Cavendish Road State High School required a multi-display solution in the library annex space that would function both as a single room solution or as two individual spaces. 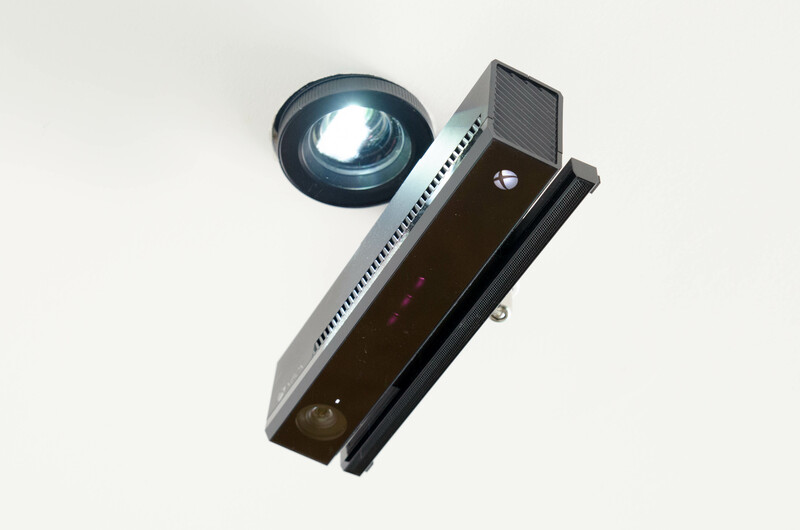 Our solution allows the sharing of content across 2 x Epson Interactive Projectors and 2 x 65-inch LG Commercial Televisions and utilises the latest Yamaha Commercial Audio products to configure and control the space(s) accordingly. AboutTech were engaged by Bremer State High School to provide an AV Solution for their new Library Resource Centre Huddle Spaces. Utilising an LG Signage Display and Simple Wall Controller, students have a simple to use solution when collaborating on projects and study. 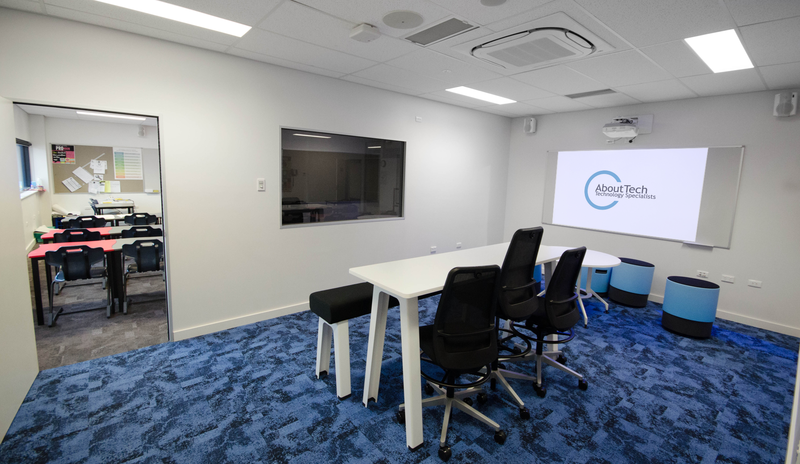 Brisbane State High School engaged AboutTech to supply, install and commission a solution that allows observers to listen into lessons. This solution provides an avenue to evaluate performance as well as showcasing best teaching practices without being obtrusive. AboutTech utilised the latest Yamaha Commercial Audio technology using a simple switch and volume wall controller, along with an Epson Interactive Projector. 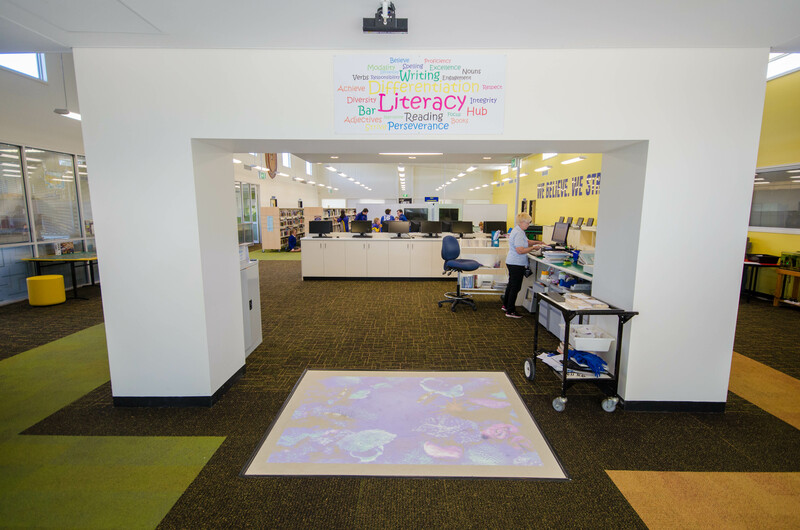 This Interactive Floor solution was implemented at Bremer State High School as a way to encourage students into the library. 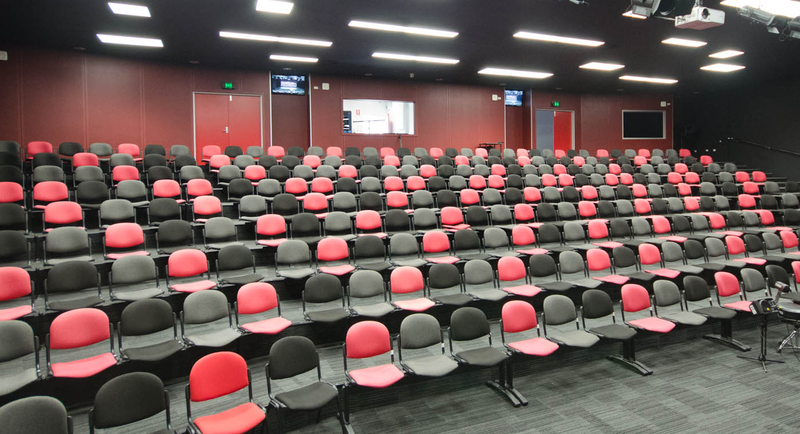 Utilising a Panasonic DLP Large Venue Projector, this solution has proven effective in achieving the desired outcome, whilst demonstrating AboutTech\'s ability to think outside of the square. 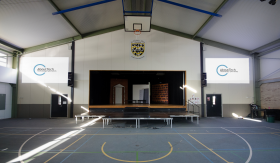 This solution for St Thomas More College features 2 x Epson Large Venue projectors and utilises the latest HDBaseT Technology to create an extremely versatile and easy to use solution for both performances and presentations. AboutTech were approached by Wynnum State High School to create a simple broadcast solution which allowed an orchestra on the stage to view a live feed of the conductor who, during performances, is located in an adjacent room off-stage. Utilising existing network cabling to distribute the video, our installers mounted two Philips Commercial Displays at the rear of the Theatre. The solution has been a huge success, and now provides a second functionality as Digital Signage Displays when not in use for performances. For their library, Wynnum State High School approached us looking to implement a digital signage solution that could also function as huddle spaces for students to collaborate on projects. 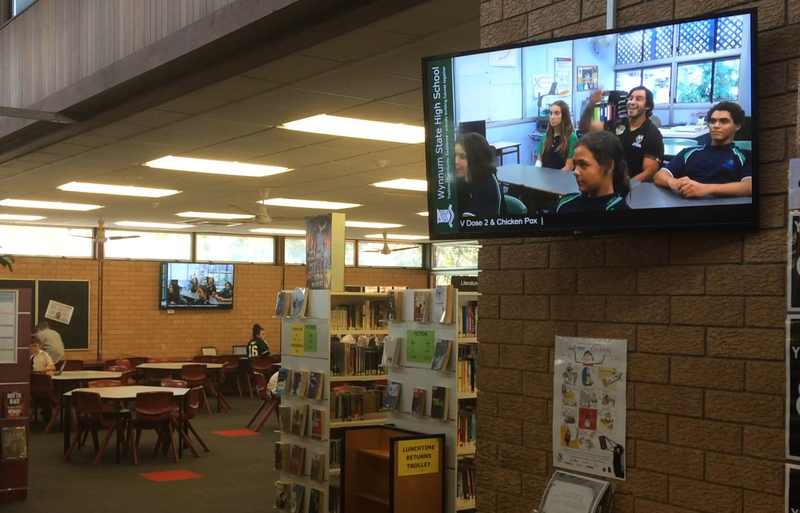 This solution runs our digital signage platform syncronised across a number of LG Commercial Displays, allowing staff to share positive messages to students including the Every Day Counts campaign, anti-bullying videos and Indigenous recognition.